It’s been a while since I’ve been around. I sort of stuck to my plan of a social media ban, and the best news is that I finished WIP The Sentinel’s Alliance – Book 3 in Silent Sea Chronicles! It’s already had beta reader feedback and I’m now working through some edits. Very soon I will be sharing the cover, pre-order links and the blurb. I’m aiming to publish 6th July 2019 so the next few months will be busy. It will be worth it to finish the trilogy. I can’t wait to see what you all think. Let me know if you want to go on the list of ARC reviewers. I also have some big news about Visions of Zarua to share very soon and lots of book reviews to come mainly how-to writing guides but also some brilliant fiction I’ve been reading lately. I’m still on the look out for reviewers for The Lost Sentinel, The Sentinel’s Reign and Visions of Zarua. If you’re interested please comment or use the Contact Me form. The blurbs and goodreads links etc are in this post An appeal for reviewers. 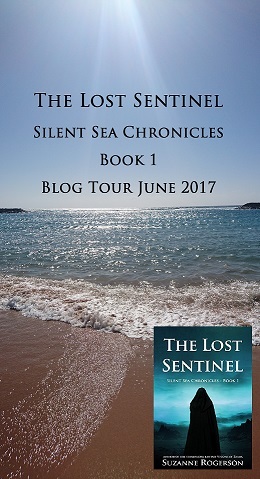 Lastly, before the publication of Book 3 in the Silent Sea Chronicles trilogy, Rachel’s Random Resources has organised a blog review tour for books 1 and 2 starting 21st June. If you want to join in, I think there a still a couple of spaces available. I will be back soon with reviews, news and I’ll be setting down some targets for the summer. See you then. I have lots of plans for 2019 but the biggest and most important has to be completing the Silence Sea Chronicles trilogy and publishing book 3! Completing the draft of book 3 as per my outline and notes. When the draft is completed and ready for my beta readers I want to focus on the map of the Silent Sea. At some point I plan to commission someone to produce a map but I’ve decided it’s more important to finish the books first. Any advice you can give about map making would be gratefully received! Once the book is edited etc, there will be all the usual jobs involved in publishing a new book. I like to set out some of my goals for the year, even though I know I probably won’t have time for everything. It feels good to have a record and I love to tick things off a list! Republish all my paperbacks with ISBN’s and through a publisher Waterstones recognises. Approach indie bookshops as well. Keep trying to get my books into the libraries. Read ‘Writing Short Stories to promote your novel’ by Rayne Hall and action what I learn. Re-read the 72k partly written novel I am desperate to finish and actually finish it! Outline and draft the novella prequel to the above novel using the techniques I’ve learnt from Couch to 50k and Take off your pants – See below. Review Couch to 50K by Rachel Tonks Hill once I have used the technique and discuss if it helped my writing. Review ‘Writing Short Stories to promote your novels’ by Rayne Hall, as previously mentioned. Buy KDP Rocket and use it to help with my book categories, keywords, ads etc. Work on getting audiobooks produced for all my books. Go to writing events including Winchester and Gollancz scifi / fantasy. Find a way to get more sleep. Fit in some exercise as often as possible. Get out with the family more. Read what I feel like reading without pressure as per my reading goals posted here. That’s about all I can think of for now. I like to review my goals every quarter or mid-year, so it will be interesting to see how far I get with this list. As I stated at the start, the most important thing is working on book 3. Anything else will be a bonus! Happy new year to you all and good luck with your own goals whatever they might be. Happy weekend everyone. I would just like to let you know that my book sale is coming to an end. But if you’re quick you can pick up both books in this heroic fantasy series for just 99p each. The sale is worldwide so everyone can grab a bargain book. The Lost Sentinel – Book 1. The Sentinel’s Reign – Book 2. The Sentinel’s Reign ‘A super paced story, plenty going off and an ending that makes me hungry for the last instalment. This is a cracking epic saga.’ Susan Hampson Books from Dusk Till Dawn. Why don’t you give the series a go and make this authors day. See further reviews on Goodreads. Angela – Pooled Ink – The Sentinel’s Reign breathes life into an island of magic as well as enemies thirsting for its power. Adventurous and unique this fantasy only gets more captivating with every turn. Jennifer – A line from a book – Yummy is the word that comes to mind when I think about this book… I loved revisiting Kalaya and as in previous books the descriptions of the world and of the magic it contains are beautiful… Even if you don’t like fantasy books usually you will like this series, so don’t delay, get your copy today! Madam Mim – Mim Inkling – The characters are one of the most brilliant parts of this story. Every character is subtly and realistically developed throughout the course of the story, they make mistakes and have flaws and strengths, relationships, loss, responsibilities, and preferences, and as a result they feel very three-dimensional… I loved every second of The Sentinel’s Reign. It was hard to put down, and lived up to my every expectation after the first book. I would highly recommend this series for classic fantasy fans. You can also see these reviews on Goodreads. and add it to your book shelf. The price goes up tomorrow, so if you want it at the bargain price of 99p / 99c, please head over to Amazon.